Good Morning!! Yesterday, Gabe and I ran the Rock n Roll St. Pete Half Marathon. We had an amazing time. This marked my third half marathon in 3 months, 2nd of 2013. 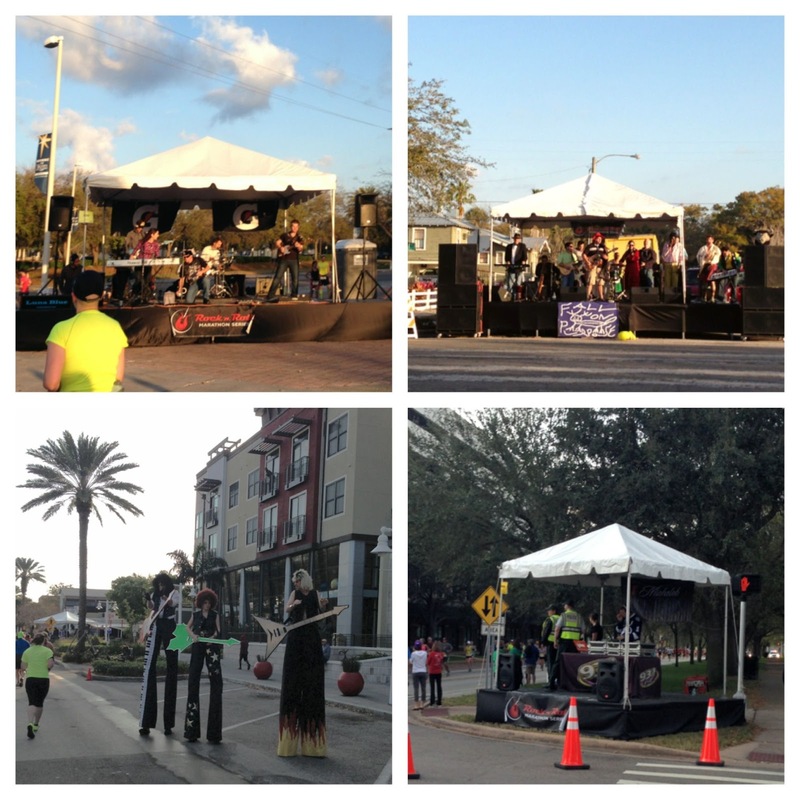 I have to start off by applauding the Rock n Roll Marathon Series. This was a very well organized and fun event. 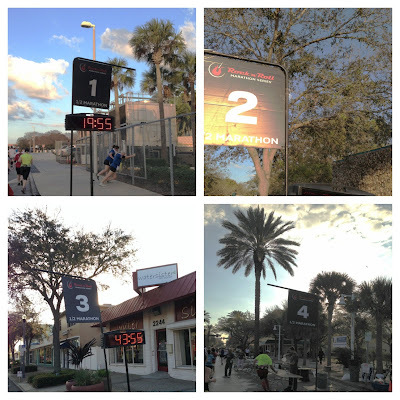 I always find myself let down at running events which aren't hosted by runDisney. Not the case here. From start to finish, everything was perfect. 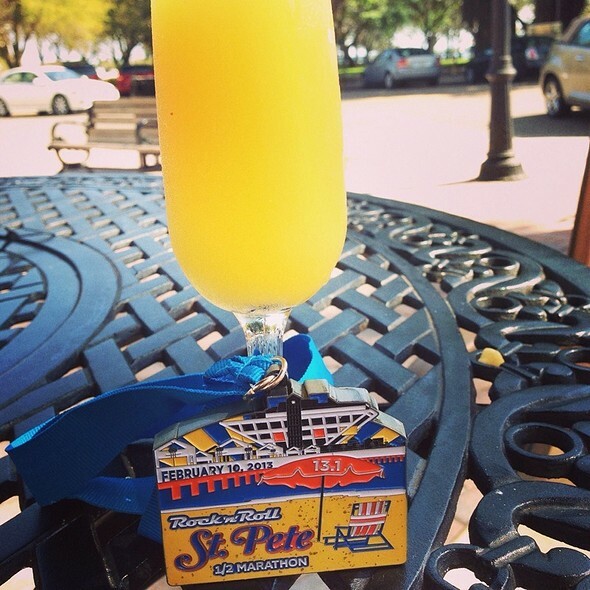 This race is a must race for any runner who loves FL. 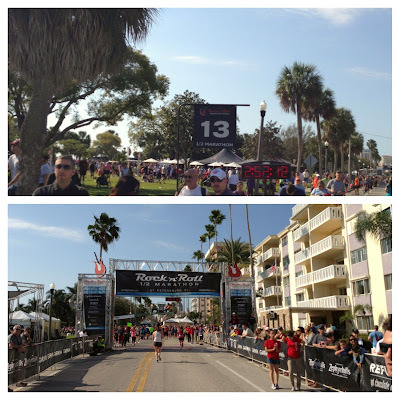 My goal for this 13.1 was one I knew I would be able to do - finish under 3 hours. That may sound like a high number to you but my first half marathon was a horrible experience, the entire thing was on the beach (13.1 miles in sand...). 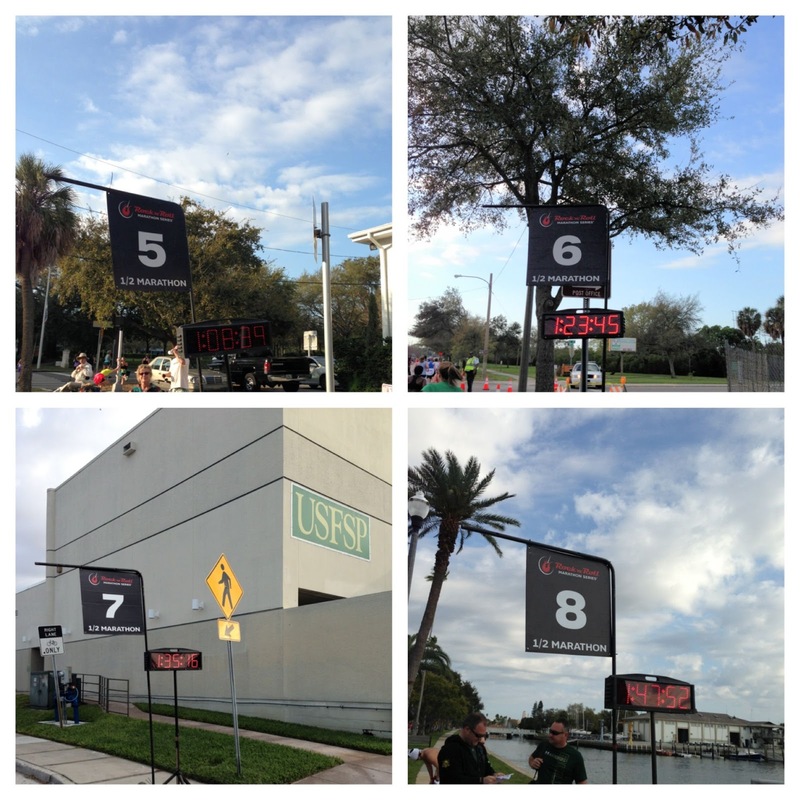 I mentally gave up at mile 3 in that race. Then I started doubting myself. My second half marathon was at Disney and we stopped for 100 photos. Both of those races had over a 3 hour finish time time. I knew I could beat the 3 hours at Rock n Roll St. Pete but my real goal was to come in under 2:45. We arrived at Tropicana Field at 7:05am, a little later than anticipated. It was much cooler in the morning and I know the weather man had to lie. It was not 62. The first gun went off at 7:30 which meant we had to head straight to our Corral. We started in Corral 8, luckily we did not experience too many walkers which was a relief. Our first three miles were above our normal long distance pace. We were averaging 9:50. I kept at this pace since I felt strong. When we hit mile 3-4, my left pinkie toe started bothering me. This is a reoccurring problem for me and I will go into that at another time but I know I have to get refitted again for new shoes, once again. Around mile 3, I found myself pouting as we passed the Taco Bus. This made me want to cry, especially when I saw they were serving food. 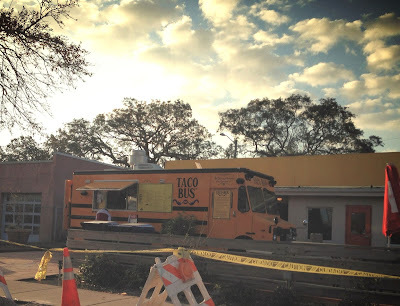 I am slightly obsessed with the Taco Bus and I wanted to stop running and eat! Miles 5-8 was a learning experience. Around mile 6, we found the 2:45 pace group. We were initially running behind the 2:30 group. I decided to stay with this crew just to see what pace groups were all about. They were running the Galloway 2 on 1 off. In the beginning, it was too easy for us to maintain. 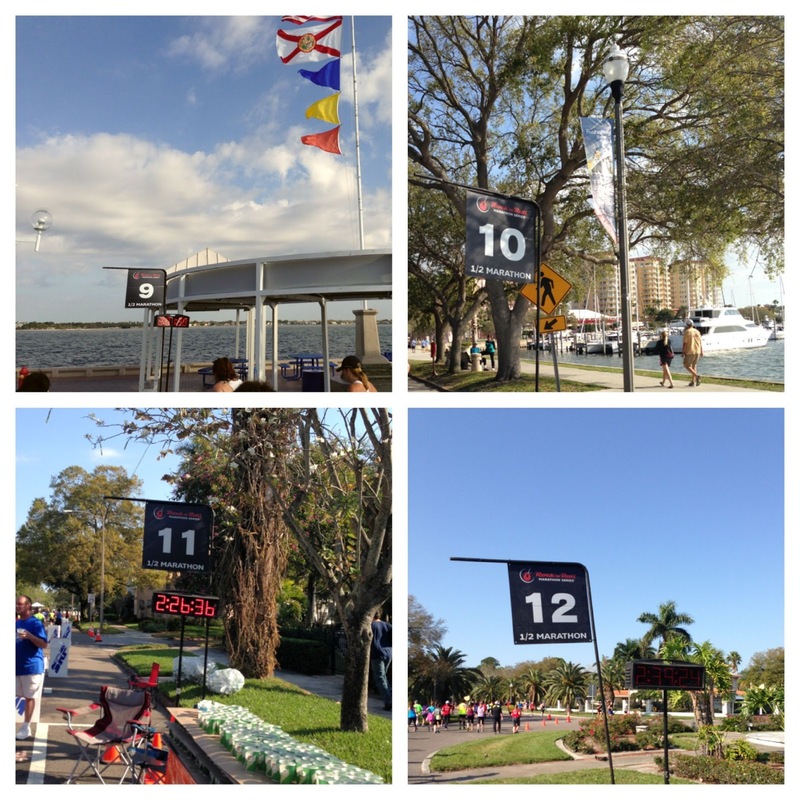 We went ahead of the group and kept our own pace of running a mile, walking a minute after every mile marker. There were so many bands and DJ's along the course. It was very neat to see them and I think this is awesome for spectators. Low and behold, we hear the 2:45 pace group behind us! This made me happy because at this point, I wasn't sure how I was going to run any further and my worst enemy, self-doubt kicked in. We decided to fall back in line with the pace group. Around mile 11, my foot was in an extreme form of pain which I have never experienced before. Nothing else hurt me, just my itty bitty toe. It was around this time that we found a medical tent and grabbed a package of Perform Pain Relief, by the makers of Bio Freeze. Gabe used a package per knee and I threw some on my thighs which helped. I wish we would have done this at mile 9. Mile 12 came and went and Gabe pushed me, which I am very grateful he did. As I mentioned above, my main goal was to get under 3 hours, preferably under 2:45 and we were right on target. Lucky number 13. I could see the finish line in the distance which I have never been so happy to see. Before we hit 13 and I was all about done and Gabe was barking orders at me to pick up my pace. We had 2 minutes to get across the finish line and beat the 2:45 goal. I wanted to strangle him at this moment. Then I gave him a big sweaty and salty kiss. We crossed the finish line together, Gabe beating me by 1 second, both times under the 2:45 goal. Neither of us have trained since the Walt Disney World Marathon Weekend 4 weeks ago. 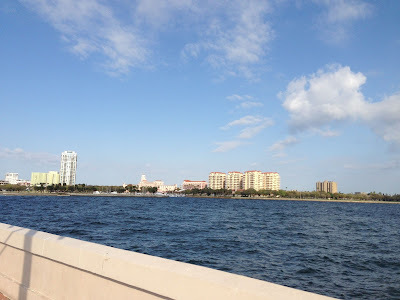 I have done a few short distances here and there but nothing above 4 miles. With that said, I was very impressed at what we were able to accomplish and we will absolutely be running with a pace group in NOLA in two weeks. Possibly the 2:30 crew! We head to New Orleans in 9 days to run the Rock n Roll NOLA half. I am very excited and nervous at the same time. Our flight doesn't leave until 7pm Sunday, what on earth are we going to do with ourselves? We were both beyond exhausted yesterday. I can't imagine getting on a plane at 7pm. 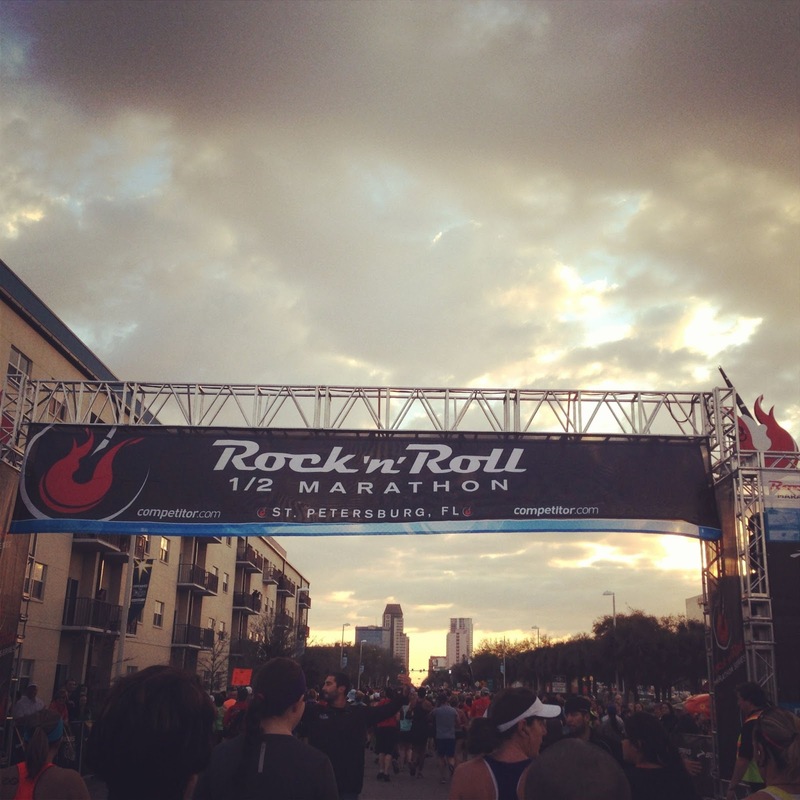 There is one week left to save $10 on New Orleans entry fees with the code ROCKNOLA2. Click here to sign up. 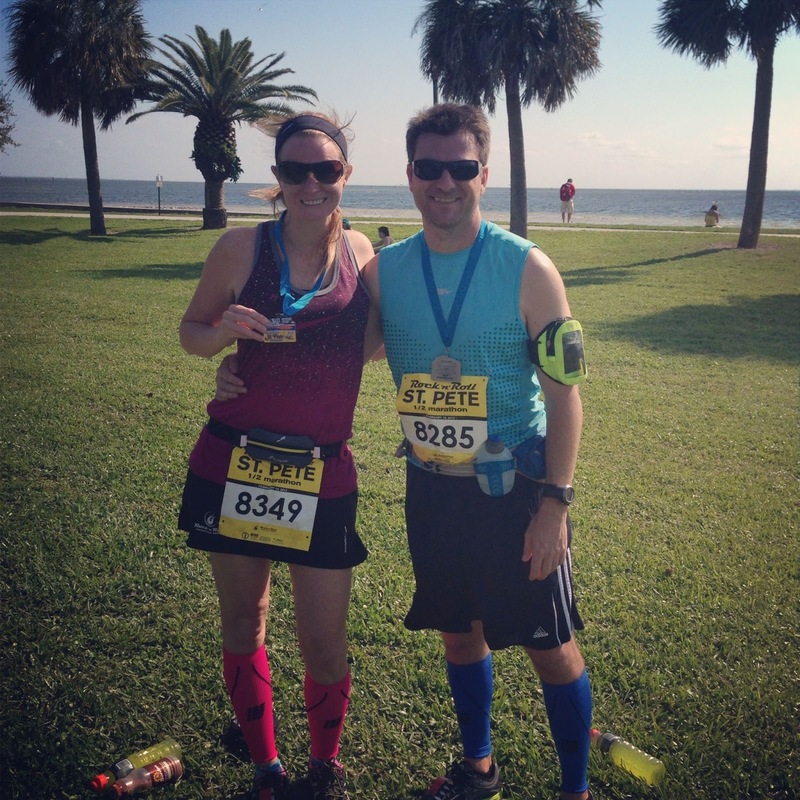 Also, fellow FitFluential Ambassador, Pavement Runner, just signed on to run every RNR race in California! Check out his blog post by clicking here for more details and the discount codes for the Cali races. If you raced Rock n Roll St. Pete, Visit St. Pete/Clearwater is hosting a photo contest for a stay at Postcard Inn at the Beach. Check it out by clicking here. Congrats to you both on your goal finish! I loved RNR! I can't wait to do this race again next year. It was a lot of fun and the course is fantastic. Congrats on finishing so quick! This would take me like 6 hours! I wish I could say that was quick! At least I did it under 3. And you can walk the whole thing in under 4 if you wanted! Trust me, I practically walked the evil 1st half I attempted & finished at 3:10. I hated the sand.